There are a number of good reasons why local councils and communities need an effective website and online strategy. For one, it gives people living in the community the power to take decisions and to shape their area. Another great reason is the fact that a website and other tools such as social media encourages and enables people from all walks of life to play a more active part in society especially those who are house bound or have limited personal contact with others. 1. The popularity of both smartphones and tablets over the past five years have driven the growth in the internet use for the over 60s. Reportedly, those aged 65-74 are almost twice as likely to use a smartphone now compared to 2012 (20% vs. 12%). 2. Fear of being alone is a major source of anxiety as people grow old. Many use the internet to connect with people, find volunteering opportunities and generally engage with their community. According to Age UK, more than 2 million people in England over the age of 75 live alone, and more than a million older people say they go for over a month without speaking to a friend, neighbour or family member. People can become socially isolated for a variety of reasons, such as getting older or weaker, no longer being the hub of their family, leaving the workplace, the deaths of spouses and friends, or through disability or illness. If your friends and family live far away, a good way to stay in touch, especially with grandchildren, is by using a personal computer or tablet (a handheld computer). 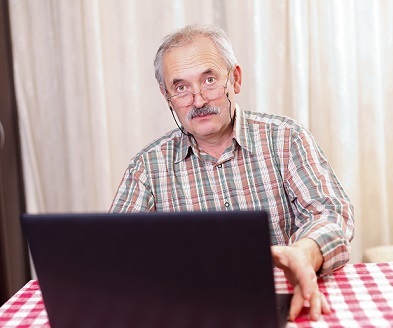 Older people go online more and more these days in search of opportunities to re-connect and engage. Take this opportunity and make sure you are engaging with those people. 3. The over-65s are the fastest growing age group on Facebook. Why? Because older people today are much more engaged in their community, with friends and relatives. They look for opportunities to connect. It gives them the opportunity to improve offline life through interactions. As you can see having an effective online presence makes can enable older people to renew or develop social contacts and actively engage in their communities. Older adults are actively looking for ways to engage with their local community online, so are you giving them the opportunity? Do you allow them to comment on articles or contribute to discussions via your website? We work with many local councils already, designing professionally looking websites for them and helping them achieve the now set government standard of transparency and accountability. We provide customized templated content management systems that are mobile optimized, easy to use, as well as affordable. Here are a few examples of the work we’ve already completed for other councils in the UK. Click here. To get a quote or to ask a question email james.white@intouchwithcommunities.co.uk or call 0333 200 7273. 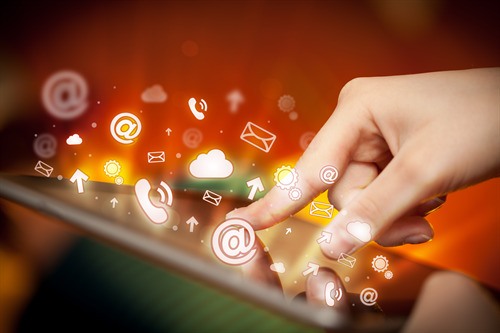 E-engagement is a popular term, but what does it actually mean? We're able to link your site to a hosted crm system (all included in the basic ITwC price).